Damascus (AFP) - Syria's President Bashar al-Assad has vowed to retake the entire country but warned it could take a "long time," in an exclusive interview with AFP as international pressure grows for a ceasefire. Speaking at his office in Damascus, hours before a new ceasefire plan was announced early Friday by world powers in Munich, Assad said he backed peace talks but that negotiations do "not mean that we stop fighting terrorism". Regime forces backed by Russian air strikes have registered major advances in recent days, particularly in northern Aleppo province, where Assad said the army was seeking to sever the opposition's supply route from Turkey. The push is one of the most significant regime advances since the conflict began in March 2011 with protests against Assad's government, before spiralling into a bloody war that has killed more than 260,000 people. 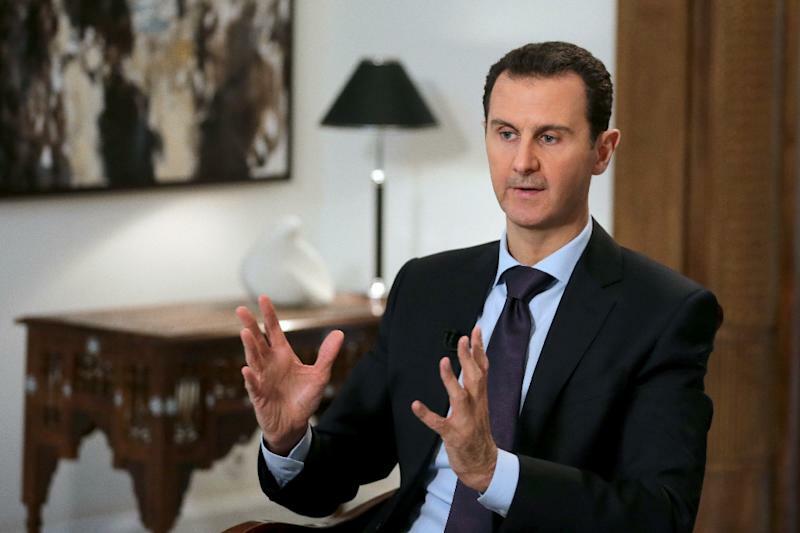 The advances have prompted consternation from opposition backers including Turkey and Saudi Arabia, and Assad said he saw a risk that the two countries would intervene militarily in Syria, pledging that his forces would "certainly confront" them. He also addressed the massive flow of refugees from his country, saying it was up to Europe to stop "giving cover to terrorists" so Syrians could return home. Over the past week, Syrian regime forces backed by pro-government fighters and Russian air strikes have encircled Aleppo, Syria's second city. The advance is one of several for the government since Russia began an aerial campaign on September 30 after a string of regime losses to rebel forces and the Islamic State group. Dressed in a dark blue suit, Assad appeared bolstered by his recent military gains, and said his eventual goal was to retake all of Syria. "Regardless of whether we can do that or not, this is a goal we are seeking to achieve without any hesitation," he said. "It makes no sense for us to say that we will give up any part." Assad said it would be possible to "put an end to this problem in less than a year" if opposition supply routes from Turkey, Jordan and Iraq were cut. But if not, he said, "the solution will take a long time and will incur a heavy price". The interview with Assad is the first he has given since the effective collapse of a new round of peace talks in Geneva earlier this month. The talks are officially "paused" until February 25, and 17 nations agreed early Friday on an ambitious plan intended to bolster efforts for new negotiations. The plan would see a cessation of hostilities implemented in as little as a week, and also demands humanitarian aid access to all of Syria. Assad said his government has "fully believed in negotiations and in political action since the beginning of the crisis". "However, if we negotiate, it does not mean that we stop fighting terrorism. The two tracks are inevitable in Syria." 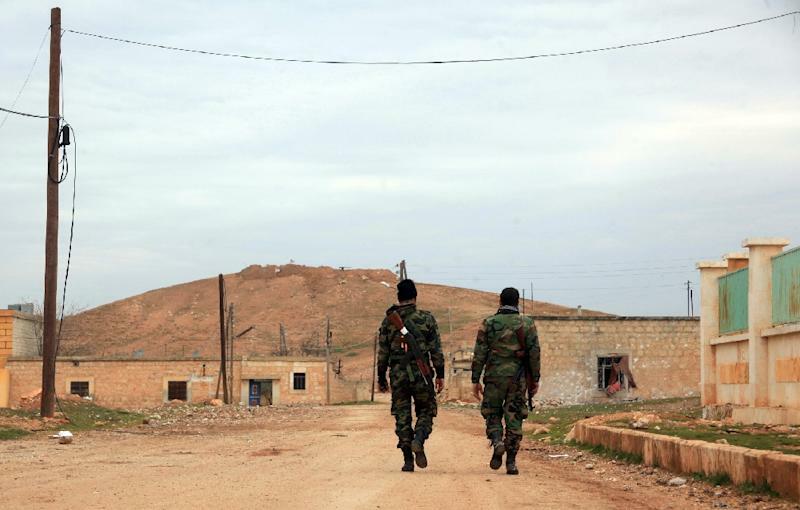 The Aleppo offensive has been the main focus of Syrian government forces in recent weeks. The regime has virtually encircled rebels in eastern parts of Aleppo city after severing their main supply line to the Turkish border. "The main battle is about cutting the road between Aleppo and Turkey, for Turkey is the main conduit of supplies for the terrorists," Assad said. The operation has raised fears of a humanitarian crisis, with some 300,000 civilians in eastern Aleppo facing the prospect of a government siege. 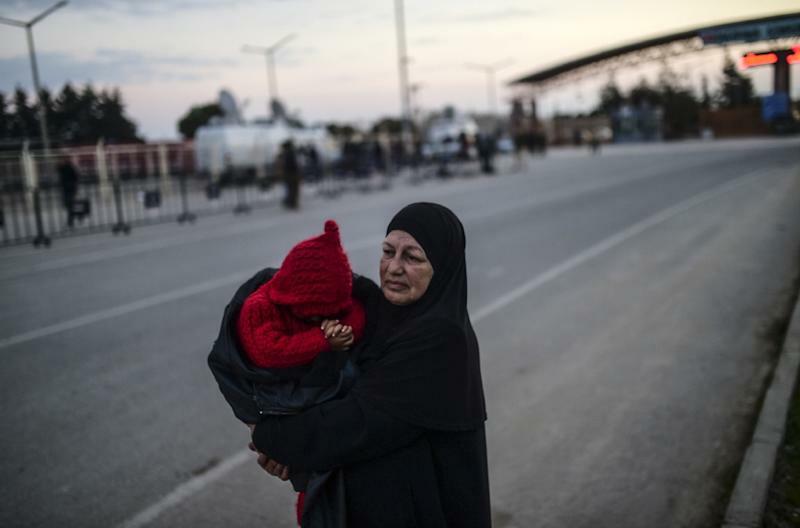 Tens of thousands of people have fled their homes already, mostly from northern Aleppo province, with many flocking to the border with Turkey seeking entry. The displaced could join a wave of more than four million Syrian refugees who have left the country since the conflict began in March 2011. Last year, many of those refugees began seeking asylum in Europe in a major crisis that has failed to slow throughout the winter. Assad said "any scene of suffering is painful to all of us as Syrians", but he said blame for the influx lay at Europe's feet. "I would like to ask every person who left Syria to come back," he said. "They would ask 'why should I come back? Has terrorism stopped?'" Instead, he urged Europe's governments "which have been a direct cause for the emigration of these people, by giving cover to terrorists in the beginning and through sanctions imposed on Syria, to help in making the Syrians return to their country". Syria's conflict has proved devastating for the country, with more than half the population displaced and the economy set back decades. There have been widespread allegations of rights abuses by all sides, with Assad's government accused this week by UN investigators of "extermination" in its jails and detention centres. The UN commission alleged mass deaths that amounted to "a crime against humanity", but Assad said he was "not concerned about these threats or these allegations". He said the UN's reports were "politicised" and lacked evidence. And while he said "innocent people die in the war", he denied any state policy of targeting civilians. Assad acknowledged "mistakes" but said "we do not claim that we, in the Middle East, have reached a stage of significant political openness". But he insisted that he had been working, since succeeding his father Hafez al-Assad in 2000, to open up the country. He was reelected to another seven-year term in mid-2014, but said it was too early to say whether he would stay in the post beyond his current mandate. "The presidency is not a hobby that we enjoy, it is a responsibility," he said. "As to selecting a successor, this country is neither a farm, nor a company," he said, adding that he would decide in the future whether to run for another term based on "the desire of the people".